Iolani Palace is a powerful symbol of Hawaii's past and its future. It is the mission of the Friends of Iolani Palace to preserve, restore, and protect this wahi pana (celebrated place) for local residents and people from around the world. By sharing, we perpetuate the history of the Hawaiian Kingdom through this living restoration known as Iolani Palace. In these challenging economic times, your support is more important than ever. We'd like to ask that you please consider a generous gift to the Palace. Your contribution will ensure continuation of the education, conservation, and preservation projects to which we are deeply committed. 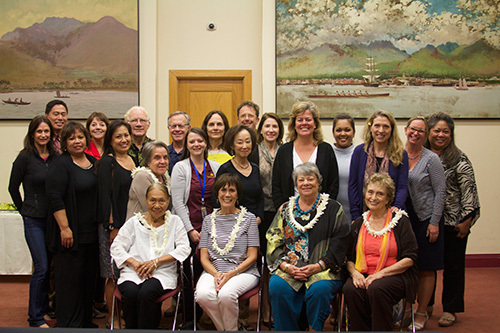 We extend our most heartfelt thanks to you for your kokua (support) and aloha.